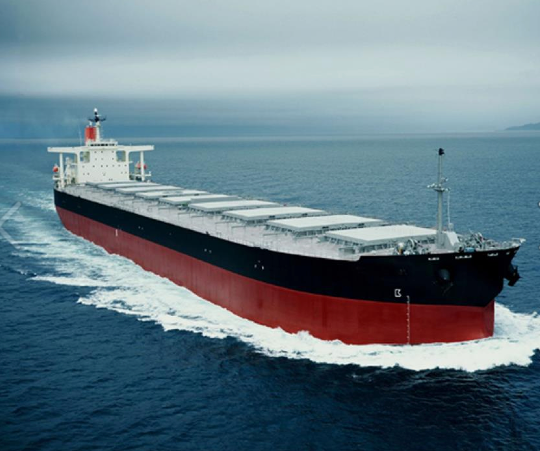 Dry bulk carrier newbuilding orders predominate among the contracts reported in the latest issue of the Clarkson Hellas S&P Weekly Bulletin. One order is reported by Clarkson Hellas in the larger dry sizes this week, with Foremost Maritime contracting two firm 180,000 DWT Capesize at Beihai Shipyard. Delivery of the first vessel is due in the later part of 2015, with the second due in the final quarter of 2016. In Japan, First Steamship are reported to have contracted a single 85,000 DWT post-panamax bulk carrier at Sasebo Heavy, due to deliver in 2016. We understand clients of Laskaridis Shipping have declared options for two further 82,000 DWT Kamsarmax at Penglai Jinglu Shipyard, with the latest vessels lined up for delivery in within 2015. At CIC Jiangsu, domestic Owner, Dong Fang have ordered four firm 64,000 DWT Ultramax, with delivery due from the second quarter of 2015. In the smaller sizes, Hantong Shipyard have received an order for two firm plus two option 38,000 DWT Handysize from a yet unconfirmed Turkish Owner, with delivery in the second half of 2016 and first half of 2017. Clarkson Hellas report one order in the tanker market, with Weihai Samjin contracting four firm 50,000 DWT MR tankers with a yet unknown Singaporean Buyer for onward charter to Laurin, with the series due to deliver in the second half of 2016. In containers, JMU (Kure) have taken an order for eight firm 14,000 TEU container carriers from a yet unknown Japanese Leasing Company. The vessels are understood to be lined up for charter to NYK when delivery begins from the first quarter of 2016, with the last vessel due to deliver in early 2018. Although understood by Clarkson Hellas to have been declared in the first quarter of this year, clients of Costamare Shipping have added a further two vessels to their series of 11,000 TEU container carriers at Hanjin Subic. This takes the series to six vessels with delivery of the latest due in 2016. Deutsche Afrika Linien (DAL) have additionally declared options for 2,200 TEU feeder vessels at Zhejiang Yangfan, with delivery due end 2015 and early 2016 and taking the series to six vessels. Finally, according to the Clarkson Hellas S&P Weekly Bulletin, Auerbach Schiffahrt have ordered two firm plus two option 12,500 DWT MPPs at Jiangzhou Shipyard, with delivery from the end of 2015.